Win direction	All symbols except for scatter pay from left to right on the win line. The scatter symbol pays regardless of position. Substitute symbol Substitutes for all other winning symbols except for the scatter symbol. The prize doubles when there is at least one wild in the winning combination. Free games	The multiplier during free games depends on the number of triggering scatters: 3 scatters –x2, 4 scatters –x3, 5 scatters –x4. The latest addition to our huge library of casino slot games is one to be embraced and celebrated. 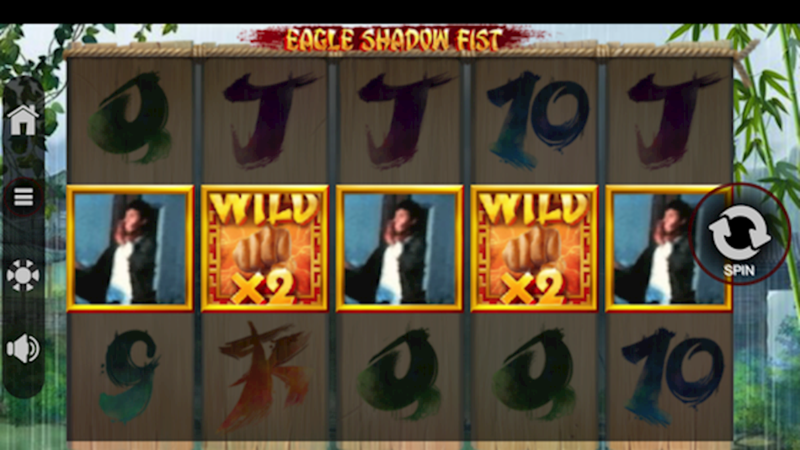 While slots with an oriental theme are nothing new this particular one acknowledges one of Jackie Chan's lesser known films. Its game-play, graphics and features breathe new life into this classic film and slot genre. Coupled with its generous payouts this is one to be enjoyed for years to come.